Product prices and availability are accurate as of 2019-04-21 06:35:58 UTC and are subject to change. Any price and availability information displayed on http://www.amazon.com/ at the time of purchase will apply to the purchase of this product. Whether you are a sports fan or you have a sports fan in your life, everyone will enjoy this framed 8x10 glossy print of Mark Messier holding the Stanley Cup over his head in celebration. This item would make a great addition to your bar, sports room, or office and makes a great gift for fans throughout the year. 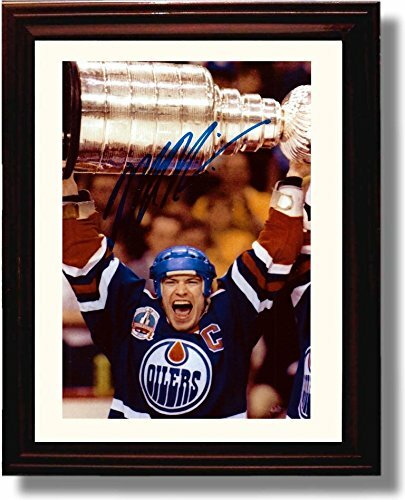 The original image used to make this print was signed by Mark Messier.